The Henckels oval multi roaster is 38 cm long, giving you plenty of space for large roasts. 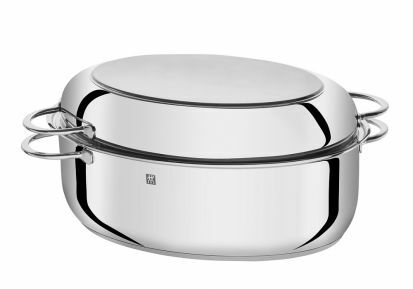 It is also ideal for frying and browning, because its aluminium base is sandwiched between layers of stainless steel. This structure ensures that the heat is evenly distributed, and all food is evenly cooked. The multi roaster is suitable for all types of cookers and can be put in the oven. 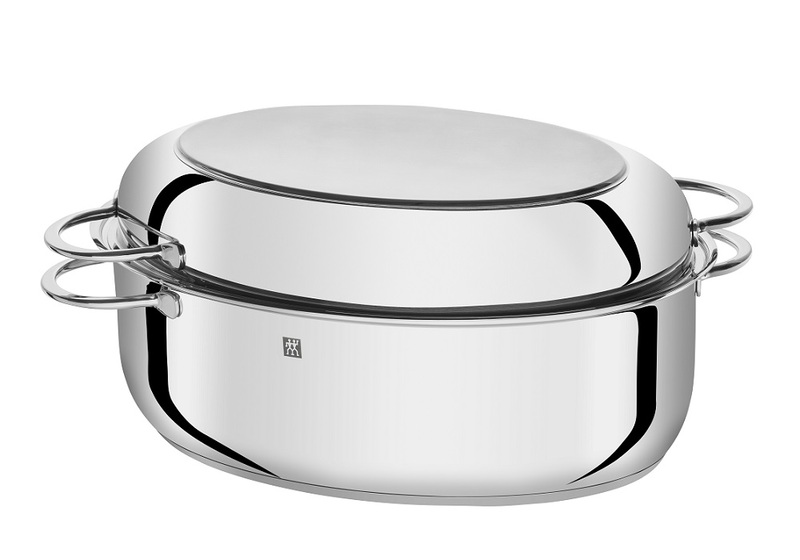 It has a scratch-resistant high-gloss finish and is dishwasher-safe.